The company announced the training soon after two black men were arrested at a store in Philadelphia while waiting for a friend, an incident that Starbucks Chairman Howard Schultz called "reprehensible" in an open letter to customers. The letter also ran as a full-page ad in the New York Times, USA Today and two Philadelphia papers. Starbucks found that "insufficient support and training" and "bias" led a former white employee to call police on the two men, Schultz said. To develop the training, Starbucks cast a wide net. The afternoon's curriculum was developed by a team of more than 30 experts, including neuroscientists, diversity and inclusion experts and community outreach leaders. Nelson's movie shows people talking about the biases they face every day, and it includes cell phone footage of individuals documenting instances of microaggressions or harassment, including an employee following a black customer through a store. The clips include ones that have gone viral, like a video of lawyer Aaron Schlossberg ranting against people speaking Spanish and one of a horrified passenger reacting to a man being dragged down an airplane aisle by officials. "We felt it was really important to be as up-to-date as we possibly could," Nelson told CNNMoney, adding that most of the footage shows extreme examples of the types of bias people face every day. "We tried not to highlight any particular companies," Nelson added. The training is just one step in making sure that nothing like the arrest ever happens again, the company said. Starbucks recently changed its policy to allow people who haven't made a purchase to spend time in stores or use the bathroom. "We realize that four hours of training is not going to solve racial inequity in America," Starbucks Chairman Howard Schultz told CNN's Poppy Harlow on Tuesday. Schultz told CNN that the trainings will be incorporated into employee onboarding, and that the 7,000 licensed stores — including those operated by hotels, grocery stores and airports — that did not participate in the training today will do so over the next year. Materials from Tuesday's event are being made available to the public. 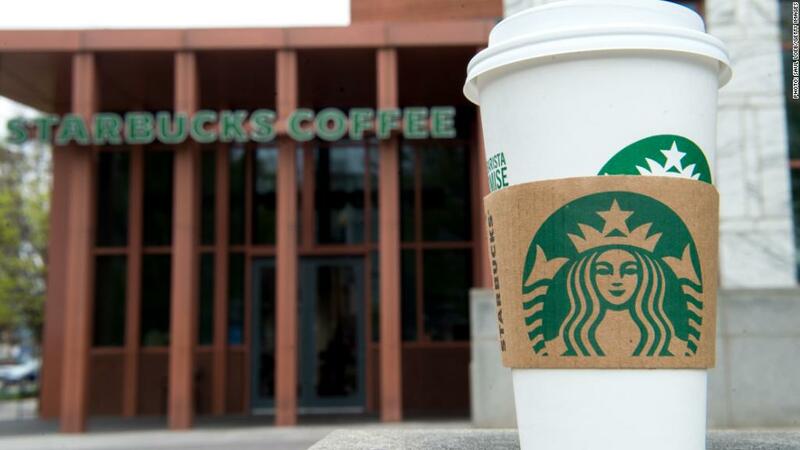 Starbucks hopes that they will be used by other companies conducting similar trainings. 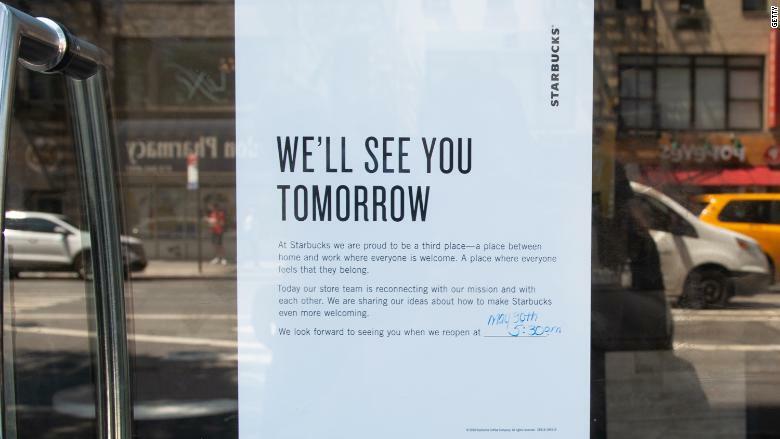 "Our hope is that these learning sessions and discussions will make a difference within and beyond our stores," Starbucks executive Rossan Williams told employees in a note last week. Ifill and McGhee plan to issue a report in the next few weeks outlining a comprehensive set of issues they believe the company must address. They'll also be evaluating the trainings on Tuesday to see how workers respond.